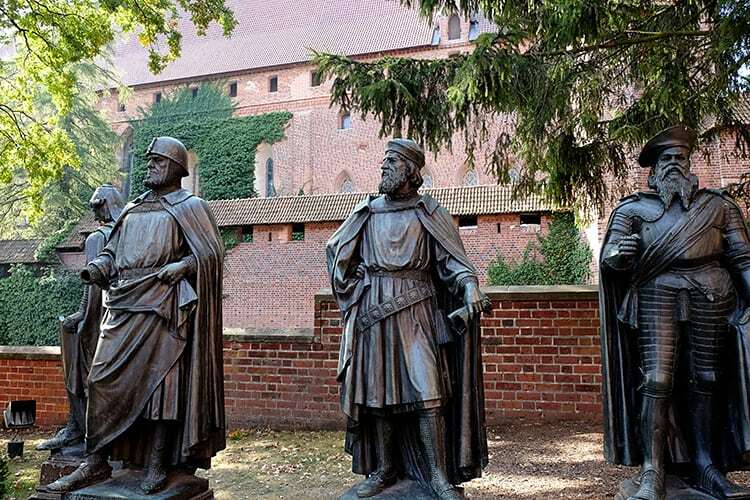 Wondering why you should visit Malbork Castle in Poland? Look no further and check out our ultimate guide below! I truly believe that Poland is still a truly “out-the-tourist-radar” type of country. 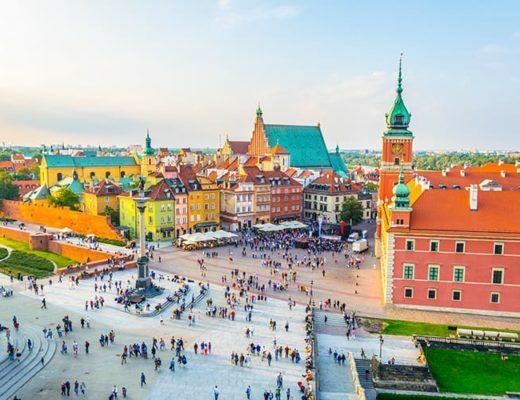 Many travellers only briefly pop into Krakow and Zakopane on a quick visit to Poland. This means a lot of people miss out on the wonders in the smaller, lesser known areas. 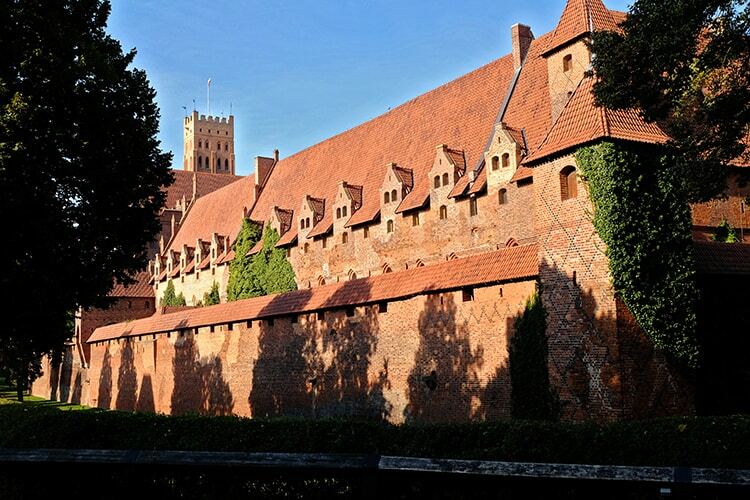 The Malbork Castle in Poland is one such wonder of medieval Europe. 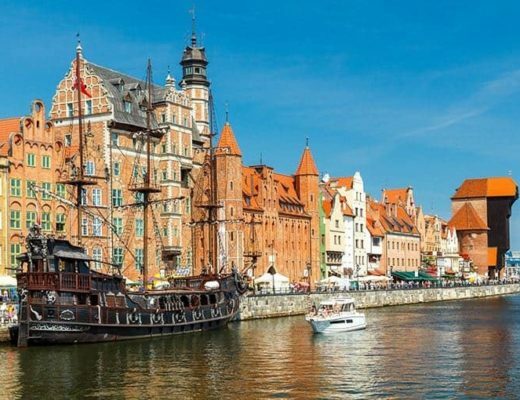 Located near the bustling metropolis of Gdansk, it’s a majestic retreat for the locals and a wonderful experience for those coming to visit the beautiful country of Poland. The Malbork Castle, also known as the Castle of the Teutonic Order, was built in the 13th century by the Teutonic Knights, who were a Catholic religious order prominent in Germany. They plundered various parts of Europe and used that wealth to build this architectural wonder. 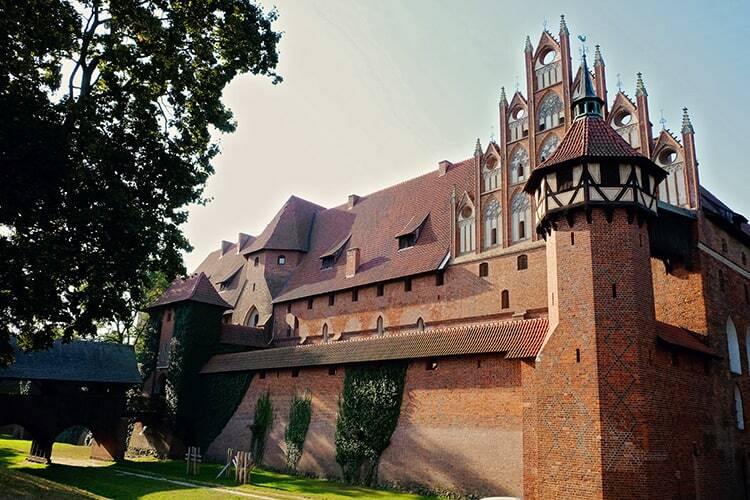 The Malbork Castle history is rich and varied. 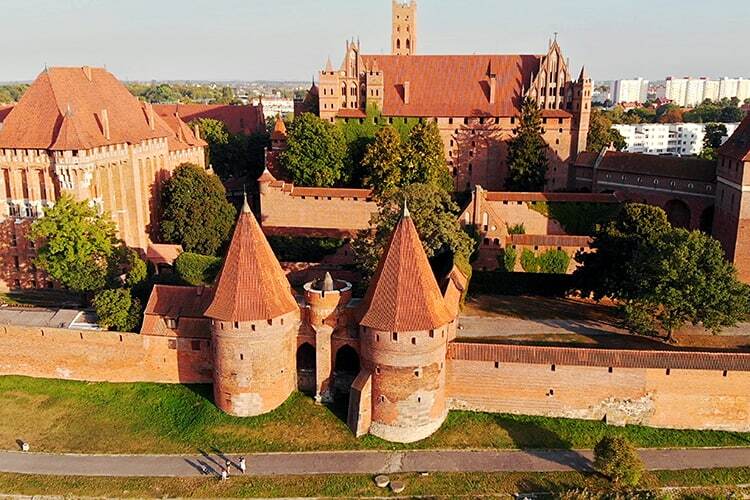 This is because of its use as a fortress by the Teutonic Order, which was followed by the Castle of Malbork being used as a Polish royal residence. As fate would have it, it then became a Polish poorhouse. You’ll be surprised to hear that this area was of great importance during World War II. A little-known fact: The World War II began in 1939 in the nearby city of Gdansk! During World War II, half the castle was completely destroyed by Soviet attacks. The castle was later used by the Nazis to house Prisoners of War. It was later rebuilt and is now a heritage site for tourists and a museum. Below is a quick video to give you some insight into what you will see if you choose to grab the Malbork audio tour of the Castle. 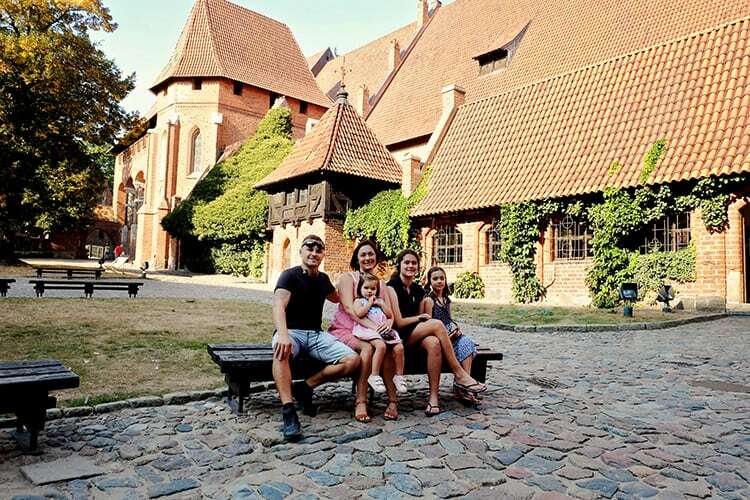 A Malbork Castle Tour – Poland Travel Guide | The World's Largest Brick Castle!! The name of the Malbork Castle gives away very little about the sheer size of the castle in Malbork. The castle complex comprises of a number of different sights, including the famous museum, which houses more than 40,000 medieval items. The museum is definitely something you wouldn’t want to miss! For those of you who’d like to bask in the magnificence of the castle itself, the main complex is divided into three major areas: the High Castle, the Middle Castle, and the Grand Master’s Palace. The High Castle: has a number of chapels (including the famous St. Anne’s Chapel) and churches, as well as ongoing exhibitions around the year. The Middle Castle: has the Grand Refectory, a novel medieval heating system, as well as a weapons exhibition besides many other buildings of note. The Grand Master’s Palace: was the seat of the Grand Master. Hence, it has a lot of royal embellishments, including halls, refectories, and chapels. The Library: There is also a library for those of you who are interested in reading about the history of this grand monument. The library is part of a certified government research institute operating inside the castle premises. If you’re short on time or would just like to view the castle, we recommend getting the exterior tickets. With this, you can roam around the castle and the town of Malbork. The Malbork Castle size is absolutely massive and parallel to none. Therefore, you need to have at least a rough idea of how much ground you wish to cover beforehand. We recommend taking at least a whole day to explore both the museum and the castle complex. 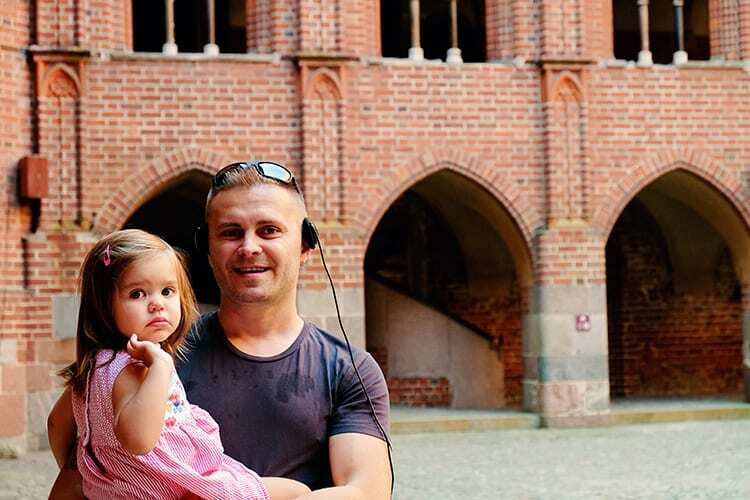 Among various Malbork Castle tour options, one can choose from guided tours and audio tours. Audio Tours: The impressive audio tour comes included in the cost of the ticket. It is very well detailed and has guides in a number of languages. It even gives instructions on where to go in case you get lost or stuck somewhere. All hail the mighty GPS! Guided Tours: If you don’t mind spending a bit more, guided tours are available from Gdansk, with options starting around €80 onwards. 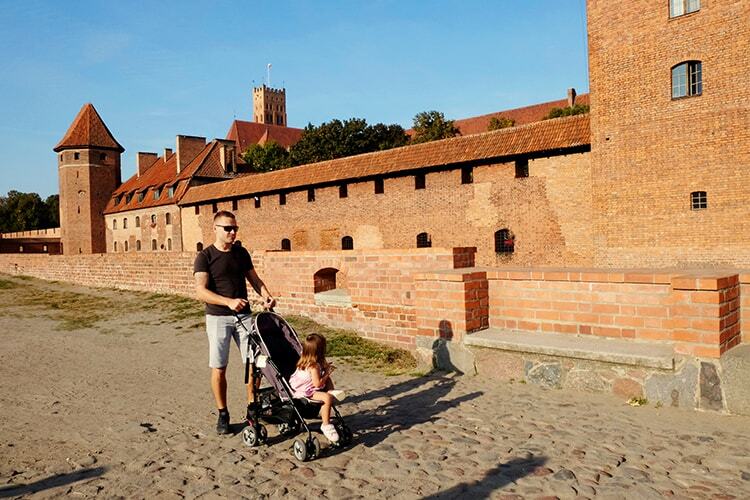 These include pick-up and drop to the Malbork Castle and meals for the duration of the tour. 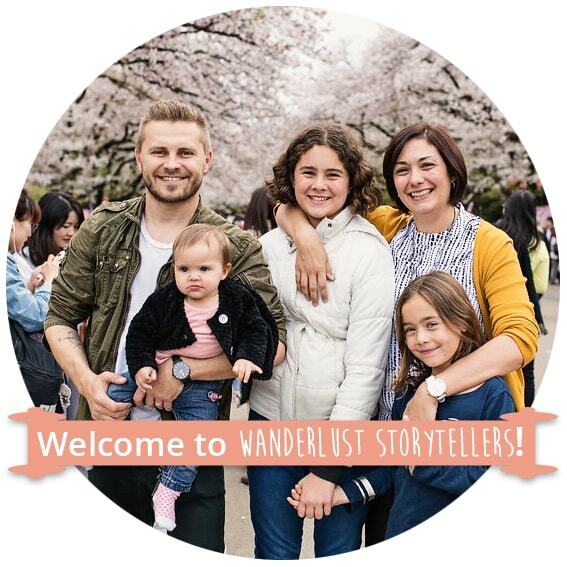 Night Tours: The special night tours which are available in the summers are also highly recommended because one generally only gets to see the museum in the day. The castle interior is open from 10:00 AM to 3:00 PM. (Note: the interior is closed on Mondays). As per the museum’s official website, it is open for the entire year. There are some special events in the castle complex at certain times, which guarantee making your visit that much more fun. Do check these out, and plan accordingly! The Baltic Science Festival is one for the science enthusiasts, which takes place at the end of May. July is when the most scenic battle re-enactment in entire Poland happens – The Siege of Malbork. This is a grand re-enactment, with hundreds of actors and vivid narration. For those with a keen eye for the arts, graphic artists from the whole world take part in the competition for the best decorative bookplate competition. This is held biannually in every odd year and on every first Saturday of June. These are then displayed for the public to feast their eyes at. The summer season runs from the 1st of May to the 30th of September. The Winter Season starts on the 1st of October and runs until the 30th of April. There are two types of tickets available, normal tickets and discount tickets for particular timings. Normal tickets: The normal tickets are priced 39.5 zlotych for the summers and 29.5 zlotych for the winters. Discounted tickets: The discount pricing starts at 5:15 PM onwards when prices go down considerably. While going in for discounted rates may sound tempting, keep in mind that you only get a two-hour window. Remember, this is the largest castle in the world, and you need at least a minimum of three hours for exploring the castle interior alone. Tickets for the exterior portion of the castle are available from 7 PLN onwards. Tickets are available online and offline. If you prefer to buy tickets offline, you can buy them at the new museum building from 9:30 AM onwards. 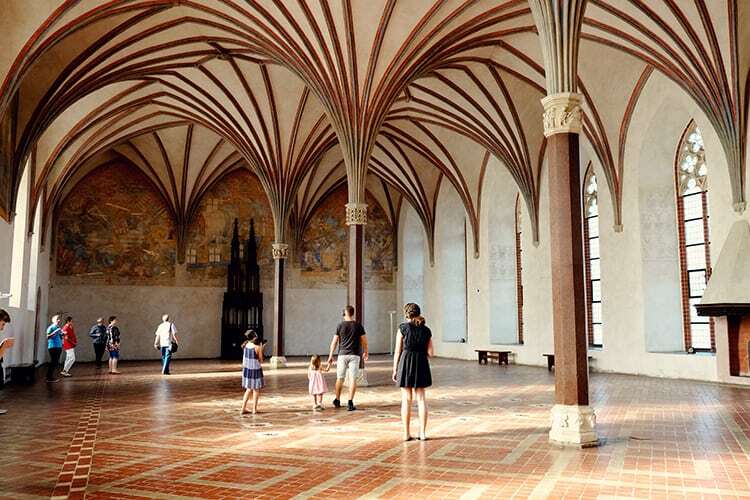 After all, is said and done, the question remains – where is the Malbork Castle? Don’t worry! Malbork Castle is very well connected with the city of Gdansk. There are dozens of trains available at regular intervals to the town of Malbork, and both the stations in Malbork are approximately a 15-minute walk from the Castle. There are two types of trains available – the intercity and the SKM (municipal train). The intercity takes 15 minutes or so lesser than the SKM to reach Malbork from Gdansk Glowny. We recommend getting down at the outer station (and not at Malbork proper) to enjoy a majestic view of the Malbork Castle, which just isn’t visible from the main station. If you happen to be in Poland or in nearby countries, the Malbork Castle makes for a worthy addition to your to-visit list. 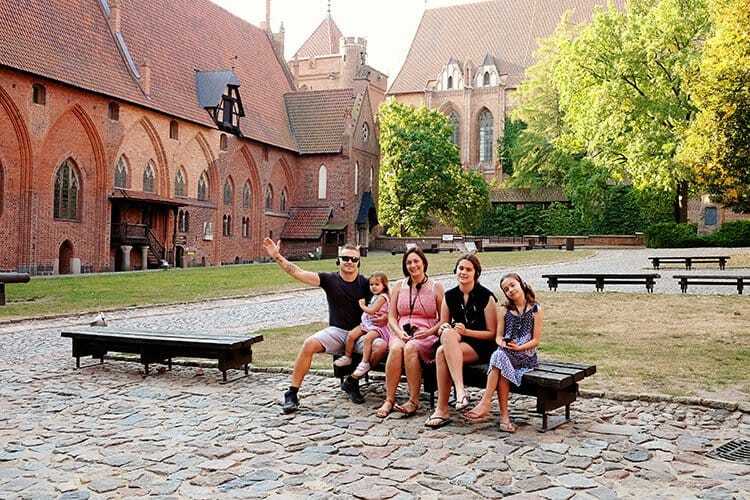 The Malbork Castle and the Malbork Castle Museum are full of culture, art, history, and offer a new dimension to your journey through the country. The sheer scale of this castle is unparalleled anywhere in the world. The castle has something to offer to everyone, and we wish that you go and have the experience of a lifetime at this one of a kind monument. 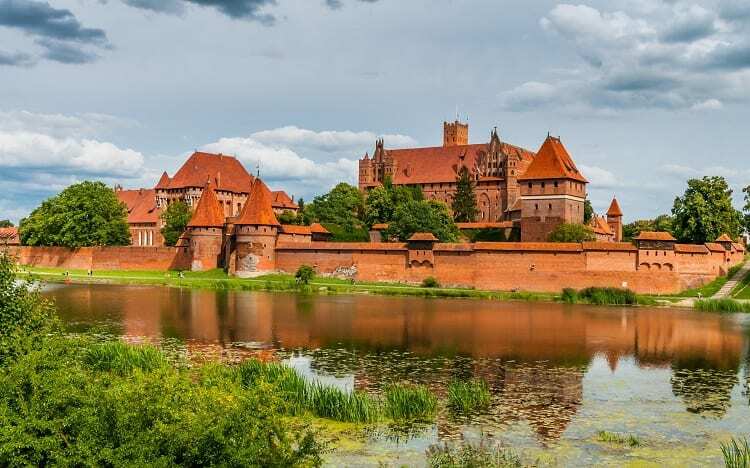 If there is anything else that you would add to our guide of the Malbork Castle in Poland, please leave us a comment below.